Let's cut to the chase. If you want to see results from inbound and content, someone in-house has to own your content as a full-time job. "We're not ready to commit yet. We want to dabble first to see if inbound is for us." "We've got a few people who can use part of their time on inbound, it's fine." No. No, it's not fine. You've got a few people who will deprioritize your content strategy the second something else "more important" comes along -- and you won't have anyone to hold them accountable. 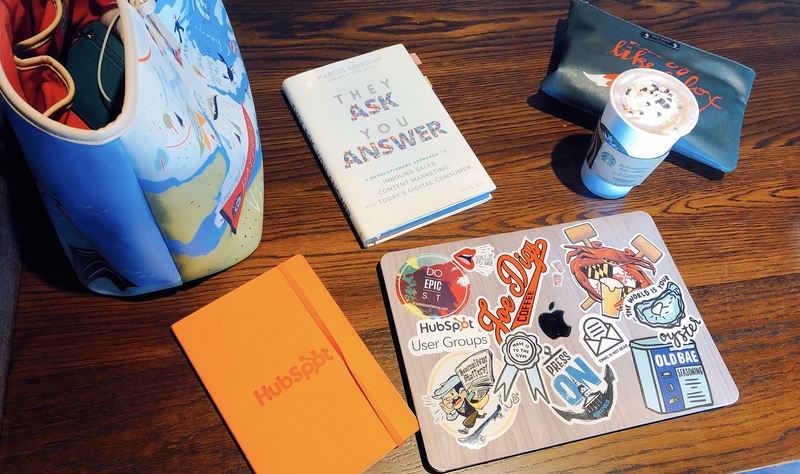 As we've spoken about at length before, you need to hire a content manager if you want to walk an inbound path to attain the growth, revenue, and expanded brand awareness you're looking for. You can call them whatever you want -- content strategist, content marketing manager, chief content officer, grand high priest (or priestess) of words... I don't care! You just need someone in that seat. We've also shared what questions to ask when interviewing for a content manager, as well as the most important qualities to look for in a content manager. But I think we need to roll this narrative back a bit. Lots of people -- including us -- are telling you that you need a content manager, but why? Why do you really need a content manager? What do they bring to the table that can't be covered by someone else on your team? ("Seriously, can't the marketers we've already hired just take care of it?") Are the skill sets we're suggesting you look for actually necessary? Most of all, will having a content manager really make a difference for your team and your company, beyond accountability? Those are the exact questions I'm going to answer here for you. Before we joined forces with IMPACT in 2017 -- where I was first a content strategist and I'm now our director of web and interactive content -- I was Quintain Marketing's content manager. Although I didn't start out in that role. I joined Quintain Marketing in 2014 as an account manager (and then a senior account manager), before Kathleen Booth (then-owner) created the content manager position for our company and moved me into that seat a year or so later. Kathleen's move solved two challenges. More importantly, however, it helped us centralize content creation efforts for ourselves and our clients. Kathleen realized what many other marketing leaders (agency or otherwise) had not at that time -- mediocre content no longer gets results. So, if an organization doesn't bring centralized content and publication expertise in-house, they will fail in the long-run. Through my experience as our content manager, I could not agree more. There are those who will be exceptions to that assertion, of course. But, for the most part, creating content -- even when they see the value in it and want their voice to be heard by your audience -- will always be that thing they have to do. It will always be in the way of what they really want to be doing. You will have some folks who grow to resent your strategic content efforts. Even if you're getting results, their pain doesn't go away or get better. Marketers who want to create and execute innovative campaigns and strategies will leave, because they didn't sign up to be a brand journalist who is forever caught in a loop of chasing people down for edits and approvals. You won't have someone in-house who can empower others to create truly engaging content that actually gets them noticed and gets better results. Deadlines will be missed, strategies will go off the rails, and -- eventually -- your little inbound experiment will fall apart. I want to draw particular attention to that second point, because this is something that often gets overlooked. One of the top things I look for in a content manager or specialist hire is the desire to do that exact role. Unfortunately, it's my experience that digital marketers who end up with content manager responsibilities they shouldn't have (and/or didn't ask for) always end up leaving or cycling out to another role within the company. Even if they say they want that role, it's not going to work out. That's not to say there aren't marketers who later go on to find their passion as a content specialist -- that's exactly what I did, as did Ramona. But someone either has the foundational skills and (more importantly) the passion for content, specifically, or they don't. I've seen too many super-talented social media strategists and digital marketers try to backdoor their way into a different dream marketing job via a content specialist role, and it never goes well. If you don't take this into account, you will hire the wrong people or worse, lose the people you've already got in-house. Which leads me to a personal bone to pick with the digital marketing industry, as a whole. There are way too many of you out there who expect your digital marketing strategists to wear as many hats as possible. They need to be experts in Facebook, Twitter, Instagram, Snapchat, community management, LinkedIn, HubSpot, WordPress, Adobe Creative Suite, conversion rate optimization, social advertising, PPC, Salesforce, sales enablement, marketing automation, business writing, SEO, keyword research, brand messaging, website user journeys, privacy laws, public relations, video production, graphic design, web design, HTML, event production and marketing, email marketing, public speaking, personal branding, podcasting, audio editing, audience research, data analysis and reporting, wood carving, baking soufflés that never deflate, predicting the future, and so on. Now, you're also expecting them to become storytelling, publishing, and journalism experts? Those are areas of expertise people get degrees in and build whole careers around, because you can't just "wing it" or watch a few YouTube tutorials to learn the required skills to excel in those areas. Here's a story to show you what I mean. Almost two years ago, a senior marketing strategist who is absolutely brilliant at crafting results-driving campaigns for his clients came to me with a problem that had been keeping him up at night. "I have this outline for a guide a client wants to publish, and I want you to look at it," he said. He shared they were way over their timeline on the project. A fully-designed version was supposed to have been published the week prior, according to their original timeline -- and they were still mired in the outlining phase, with no end in sight. "I don't know what's wrong with it or why we're stuck -- can you take a look at it?" It only took me a five-second glance to realize what the problem was. The topic they had chosen for their guide was so broad in scope -- with no specific problem they were trying to solve clearly identified -- there was no way they were ever going to agree upon an outline, let alone actually produce the damn thing. They were doomed to fail from the start. To toot my own horn, this is what my background in writing and publishing has trained me to do. But it wasn't his fault that he couldn't see that -- we're simply experts in different things. Seriously, some of the strategies he would share with me blew my freaking mind, because I knew I could never make my brain work that way in 1 million years. Bottom line, asking your digital marketers and other subject matter experts to suddenly become storytelling wizards and editing geniuses is a bridge too far. You're creating unnecessary friction while also guaranteeing your inbound content strategies will ultimately tank, because you're not putting someone qualified in place to own it. I say this because the story I shared above is not a unique one. There isn't a week that goes by where I don't have between at least three and five people approach me with a content problem. They do so because they know it will take us 10 to 15 minutes (on average) to solve it together, instead of the many hours (days, weeks, or more) it might otherwise take them to do so on their own. Content nerds like me know how to manage writers, make content more powerful, edit content efficiently (so you can produce more, better and faster), make writing blogs less painful, spot why content projects will fail (long before they do), get other stakeholders participating (and enjoying) the content creation process, and manage competing deadlines for lots of projects -- all of which are inevitably a "top" priority. We spend our late nights obsessing about new ways we can tell our brand's stories in ways that are more helpful, engaging, and innovative. We go out of our way to find the content tools and applications your company needs to make content creation and collaboration easier and more productive. We're constantly trying to find new methods and processes for empowering our internal subject matter experts to have more time to do what they do best, while still getting their names and insights in front of our audiences. This is the stuff we're born to do, and that's why you want someone like me (and Kevin Phillips) on your team. Beyond all that, however, we've seen time and again with our clients that there's a direct correlation between the companies that see significant gains and improvements in digital marketing and sales, and those that don't, when they have hired an in-house content manager. West Roofing Systems is a perfect example -- they hired an in-house content manager, and saw 1,200-percent increase in website traffic and an 828-percent jump in lead conversions (among other amazing results) from their efforts. If you want to see exponential gains in your website traffic, lead generation, and the numbers of deals you are able to close, you've got to hire a content manager. It's that simple. And if any of the pains I outlined above sound familiar, trust me when I say a content manager will make a lot of that go away... assuming you hire the right person. Commit to memory the top qualities your content manager needs to possess. Use the interview questions and situational activities Marcus Sheridan outlines in this article. I know Marcus mentioned this in those articles above, but I want to reiterate how important it is to hire for the right skill set and company culture fit over industry expertise. If you happen to find someone who checks all of those boxes, that's great! But never, ever exclude a candidate because they're unfamiliar with your space -- especially since some of the best content managers we've seen were fresh out of college with journalism degrees. If you hire for the right skills, your content manager will quickly accumulate the knowledge and expertise you want them to possess simply by doing their job. And you'll wonder why you ever questioned investing in a content manager, because (in hindsight) you'll see you never could have afforded not to.